If you're on the lookout for a casual yet stylish getup, rock a Tommy Hilfiger trench coat with white jeans. Both garments are totally comfy and will look fabulous paired together. When it comes to footwear, this ensemble pairs nicely with gold leather pumps. For a casually elegant ensemble, pair a Tommy Hilfiger trench coat with a black satin sheath dress — these items play beautifully together. Break up your look with more casual shoes, such as this pair of black leather ballerina shoes. If you're scouting for a casual yet totally stylish outfit, opt for a beige trenchcoat and navy jeans. Both items are totally comfy and will look fabulous paired together. Dress down your outfit with white canvas low top sneakers. If you're on the hunt for a casual yet totally stylish outfit, marry a Tommy Hilfiger trench coat with black skinny jeans. Both pieces are totally comfy and will look fabulous together. When it comes to shoes, this ensemble is round off nicely with black suede ankle boots. 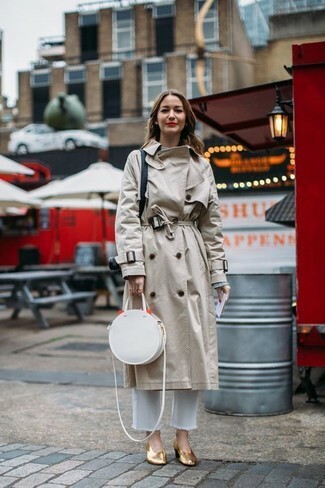 This combination of a Tommy Hilfiger trench coat and an orange lace sheath dress is so easy to make up without a second thought, helping you look awesome, chic and ready for anything without spending a ton of time going through your closet. When it comes to shoes, this look is finished off nicely with black leather pumps. If you're in search of a casual yet chic look, opt for a Tommy Hilfiger trench coat from Asos and a navy skater dress. Both pieces are totally comfy and will look fabulous paired together. When it comes to shoes, this look pairs perfectly with black suede over the knee boots. 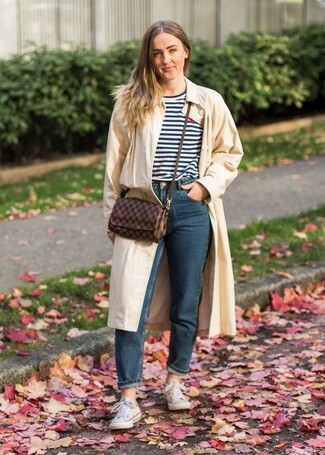 For a knockout-meets-chic look, wear a Tommy Hilfiger trench coat from Asos and navy vertical striped skinny pants — these pieces a work setting really well together. When it comes to shoes, this ensemble is finished off wonderfully with navy leather pumps. If you're hunting for a casual yet absolutely chic ensemble, make a Tommy Hilfiger trench coat and black skinny jeans your outfit choice. Both items are totally comfy and will look fabulous paired together. Opt for a pair of purple low top sneakers to make the getup more current. 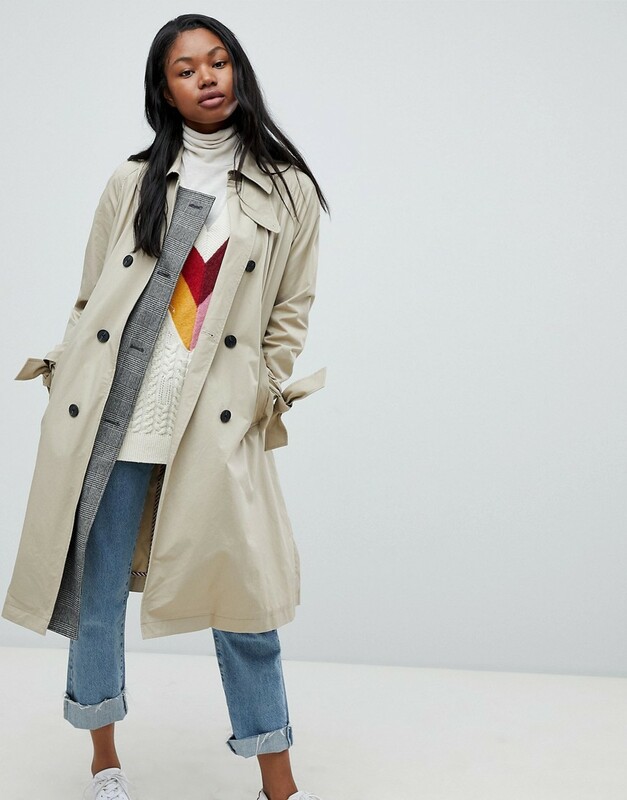 If you're after a casual yet totally stylish look, team a beige trenchcoat with charcoal skinny jeans. Both pieces are totally comfy and will look fabulous together. As for the shoes, choose a pair of black suede over the knee boots.